Wondering how you can start your own profitable coaching business online? See coaching is fast rising and it’s an amazing way to get started as an entrepreneur because whether you believe it or not: you know something, have some skill - are smarter than someone else who is willing to pay you for that skill and that knowledge. If you’ve been wondering how to take that knowledge and turn it into profit? Then this episode is for you… oh, and if you’ve already launched your business but you feel like something may be missing somewhere then take a lesson - you just might fill in the missing piece. Don’t forget to download your free worksheet! You need to figure out what is your one result that you provide. You’ve probably helped someone (or several someone’s) before in this specific area. For me it’s helping my clients create strategic content and then automating it by plugging it into an automated sales process. I chose one very specific thing - content + systems = sales process to focus on. Who is willing and able to pay you for that help? You don’t need to target everyone just the BEST ONE for your business. And that is your ideal client. Who is that one person you love to work with, you can get amazing results for, who is willing to pay you (once you show the value of course) for your expertise? You need to Position your result and your service as a SOLUTION. Look let’s be real there are a ton of coaches online and even more coaching packages so you need to position yours as a solution to a specific problem. You also want to get out of the book an hour long paid call and start packaging up that solution as a premium package as well. This will help you hit your income goal a whole lot faster. So… as The Content Coach for coaches there is no way that I could not talk about content right? Look… you’ll soon realise that content is Queen, King and princess. Content when done right will save you so much time. Step Five: You want to convert those members in your community to paying clients. Yes we love to serve, that’s why coaching is a service based business but we also need to make money - hence why it’s a business and in order to do that we need to book paying clients. You need to get your community to become paying clients so you can stay in business and serve on a higher level. In order to hit the goals you will set and stay disciplined and consistent you will need to work on your mindset DAILY. You need to figure out when you will work on your mindset and how you will work on your mindset because if you aren’t confident in your offerings and your ability to deliver then you won’t be able to sell your offers. You need a mindset practice like yesterday. Invest in your success, invest in yourself whether that is coaching, courses, books whatever it is you need to invest either time or money if you will get the results you so deserve. You can’t figure everything out on your own and your won’t be able to see 360 degrees of your business because you’re on the inside. Understand the importance of investing and then do the work. Here’s the thing - all these steps are integral to starting a profitable coaching business but the one thing that will help you legitimatise your coaching business, prove to yourself that it can and will work and then of course have the social proof so you can continue to be profitable is booking actual clients. Luckily for you I have a gift for you: The Crack the client Code free eBook. It’s so so so good. I share how I booked high quality sales calls with potential clients so you can finally stop guessing and know WHAT you can do to get your potential clients on the phone with you. Go below, download it - and as always take action. Let me know down below, thank you so much for listening! I finally did it - I launched my podcast - legit this time on a platform and all and I could not be more excited. I’ve been back and forth between launching a podcast and resuming / relaunching my YouTube channel for a long time and I finally made the decision and just went for it and made it happen. Doing YouTube videos was not in alignment with the way I do business right now. It just was not going to fit into my schedule the way I would want it to. However, with the app I am using to do my podcast I am able to record a new episode from pretty much anywhere so it’s much easier to stay consistent. Do what fits into your schedule nicely - unless you’re just being lazy or making excuses… I am all about simplification and podcasting the way I have it set up is definitely SIMPLE. What to expect: At least 1 episode per week, I’m thinking 3 - 5 though but we will see. Short and actionable 15 minutes or less. 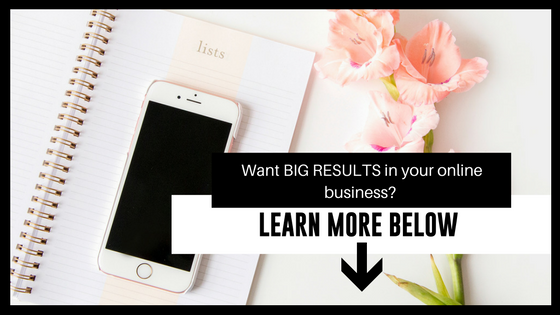 And it’s focussed on what I do best - helping your grow your coaching business utilizing content and simple funnels and much more. I am really excited to be on this journey with you and I can’t wait to see where it goes, introduce yourself in the comments and let me know what your business is all about!